Nintendo 3DS UK Price, £300 ? It looks like we may have some pricing for the new Nintendo 3DS here in the UK as it has appeared online at a number of retailers with pre-order prices of £299, although this pricing is yet to be confirmed by Nintendo. Retailers The Hut, WHSmith, Best Buy and Woolworths are all taking pre-orders for the Nintendo 3DS, and some of the retailers have a price listed of £299 whilst other have no pricing listed. 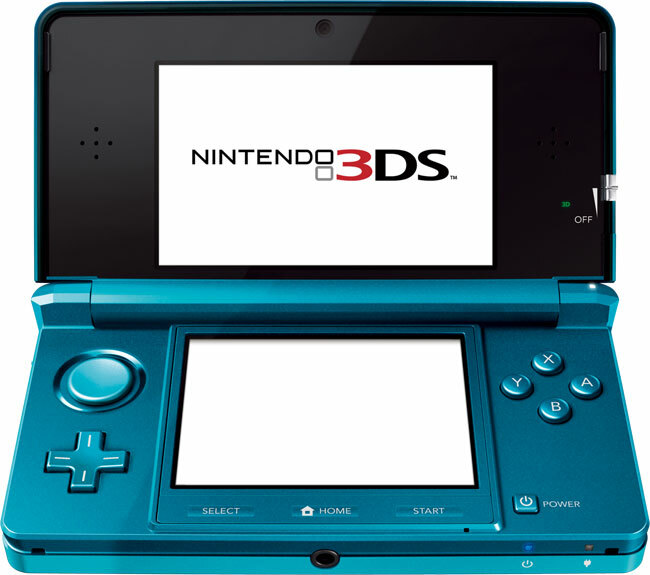 The Nintendo 3Ds features two displays, one of which is a 3D display, the top one and it is a 3.5 inch display with a resolution of 800 x 240 pixels. The 3D works without the need for 3D glasses, and from the 800 x 240 pixel display 400 of the pixels are allocated to each eye. The second display is a 3 inch display with a resolution 320 x 240 pixels. processing comes from two 266MHz ARM11 processors, a PICA200 133MHZ GPU by DMP, and 64MB of RAM, plus 4MB of video RAM. A price of £299 does seem quite expensive for a handheld gaming console, when compared to other handheld consoles, although this is the first handheld gaming console to feature a 3D display. It will be interesting to see how popular the Nintendo 3DS becomes, and if gamers are willing to part with close to £300 for a handheld gaming console.